Stunning Home in superb condition. Gorgeous inside & out. Located in North Stockton's Lebaron Estates, is secluded privacy in an oasis of peace. Stunning entry and foyer, high ceilings with exquisite Crown Molding. Fully equipped with all the modern comforts. Large in-ground swimming pool. Beautifully landscaped. Comes with 25 solar panels, fully paid for to reduce energy costs. This is a must see home! Reginald Sylvester is a Realtor who helped save more than 500 homes from foreclosure. During the housing crisis, lenders and loan servicers' were taking advantage of distressed homeowners. Foreclosures were at an all-time high, and most were a violation of California law. As a former U.S. Marine, Administrator and Real Estate Broker, Reginald, recruited and trained more than 50 San Joaquin County Work-Net trainees. Under his leadership, they successfully modified more than 500 mortgage loans. 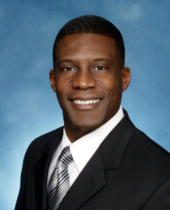 Reginald also specializes in Mortgage Protection Life Insurance and continues to help families protect their homes. Listing courtesy of New Land Corporation.